Changes in SEO are Inevitable! Like any other business with a product, search engines like Google are always trying to improve the quality of their search results. They add new features and remove others to see what changes improve the user experience. Because of constant changes, SEO is a field full of complexity. For those of us in the search industry, we have to wrestle with the fact that this industry is always in flux. It’s our job to try to identify how these changes in SEO affect our businesses and the businesses of our clients. When in comes to understanding search and SEO, it’s less about what you know and more about how quickly you can learn and adapt to the changing environment. To help you stay ahead in 2019, we’ve asked 21 industry experts how they think SEO is going to change this year. These people have made a career out of search engine optimization, so if anyone knows what’s coming, they will. #1 How do you believe digital marketing (not just SEO) as a whole might change in 2019? #2 Any predictions on how the search industry might change and shift in 2019? #3 What will you be doing more or less of in 2019? This can be specific tactics, operational, etc. 1. I think people are becoming increasingly leery about how businesses use their personal data and 2019 could very well be a year where they finally push back. A lot of people are abandoning sites like Facebook because they’ve abused their trust; they’re finally seeing there’s a trade-off for using these ‘free’ services. I predict businesses that make headlines for breaching public trust will see the sharpest decline in digital marketing yet. 2. I believe in the very near future SEO will resemble something closer to UX. A lot of the things Google does to improve their search output essentially falls in step with what users actually prefer. More people search on mobile devices –> websites are ranked for their ability to cater to mobile audiences. People search questions semantically — websites that answer that question sometimes get an instant answer box at the top of results pages.I think there’s all types of SEO analysts; those wizards who specialize in the technical side, the wordsmiths that approach it from a content-first perspective, and now your UX variety; those who prioritize a user’s actual experience with a website and consider search bots secondary. 3. This year I’m doing a lot more research with UX. I’ve picked up a few great books I recommend to any SEO interested in straddling that balance between SEO best practice and UX; “Don’t Make Me Think” by Steve Krug and “The Design of Everyday Things” by Donald Norman. 1. We can expect digital marketers to saturate the market in 2019 as the barrier to entry is so low. Small businesses are often inundated with calls from cookie cutter digital marketing services and one of the best ways to find the right service provider is to ask for their references. 2. There will be a steady rise in the number of mobile users and voice search. The websites that are ready for them will reap the benefits. It would be a wise move to ask your digital marketing service provider to see how they deal with mobile traffic and voice search. 3. I personally love to check the pulse of the industry and it’s the reason why I’ve started a FaceBook group catering to marketers in my field. Now that the group became one of the largest in the world within the industry, I plan to use collective wisdom to carry out various marketing experiments. 1. The use of artificial intelligence will play a greater role in digital marketing. Using AI for tasks such as content gap analysis, content cluster determination and content optimization will become common place. 2. No doubt a great deal of new content is being created daily. However, there’s a massive amount of existing content representing a significant investment. Companies looking to recoup that sunken cost will focus an increasingly greater amount of effort on improving and optimizing the content they already have. 3. With the help of MarketMuse Suite, I’m focused on developing our company blog into a resource for content strategists looking to use artificial intelligence to augment their content creation and optimization efforts. The latest innovations in digital media, technology, and data will help change digital marketing for the better. It will be more about personalization and customer-centric marketing. Artificial intelligence, machine learning, and big data will help brands consider their consumers’ habits, desires, activities, and purchasing preferences for an improved user experience and customer satisfaction. 2. With digital assistants like Siri and Google Assistant, the popularity of voice searches is going to rise even further in 2019. To rank for voice search results, brands and marketers will need to optimize their content for more conversational keywords and phrases. 3. I will further optimize my blog posts and other content for conversational phrases that more users search for. At the same time, I will also experiment with various modern-day SEO techniques to rank higher in search results rankings. Since the introduction of new, innovative tech such as voice control/search, advanced AI and machine learning, VR and AR, etc. the digital marketing landscape is sure to take on a change that will make digital marketers work to use these tech to their favor. Even data privacy has seen a shift since the introduction of GDPR in Europe. It won’t be a total overhaul of the digital market but strategies and tactics will surely change to cater to these new trends. In summary, as with most things, will experience a change, and every digital marketer must adapt to the changes if they want to not only succeed but to also grow. 2. As I’ve mentioned, the introduction of new tech like voice control/search entails that SEO strategies will most likely take a shift to a lower volume/high intent keyword plan. This is to cater to most voice searches and the volume for long tail keywords will also increase with the efficiency and accessibility that voice tech such as the Amazon Dot with Alexa and Google Home will make users search for specific queries that have high chances of being long tail keywords. Aside from the rise of long tail keyword strategies, 2019 will also be a year where Page Speed, Mobile, and GDPR are one of the utmost priorities of SEOs. Although page speed and mobile are already priorities this year, their importance will surely increase for 2019. 3. Since we’ve already started our efforts on mobile optimization and page speed this year, we’ll definitely increase our efforts on targeting long tail keywords. However, we will still provide efforts for broad keywords since it’s common knowledge that broad keywords have more volume when compared to long tail keywords. 2019 is an exciting time for SEO since the direction of the landscape were primarily directed by technological innovations and not by algorithm changes and updates. For the most part, we’ll still be doing strategies that have been tried and tested by us through the years of SEO Hacker’s existence. However, as SEOs, the love for experimentation is one of the most important values we can possess because all of the strategies, tactics, tips, etc. that still work today were found through experimentation, successes, and failures of SEOs around the world. Wasting money on digital marketing is still pretty common. 2019 will bring more analytics thanks to Google Data Studio, which provides simple experience to clients. No more Ads without conversion, no more SEO for keywords which are not selling. 2019 will be the year of data-driven marketing. 2. Each decision will be supported with data. Intuition and experience are going to be replaced with complex analysis and reverse engineering of competitors. Market grows but number of marketers rise faster. The increased competition requires redefined toolset and workflow. 3. Work smarter, not harder. I will back up even more with the competitors analysis tools on my daily basis. Case studies are the most important for me and I plan to prepare as many optimization case studies as possible in 2019. Digital marketing is a continuously changing landscape. 2019 is going to see a more rapid evolution of changes in the way marketers perceive they have to act to stand out. Most will get it wrong. Given the continued barrage of advertising, and the sudden appearance of new ‘experts’, digital marketers and brands are going to face higher costs and lower results in general trying to do things the same way, but perhaps more ‘cleverly’.As larger, already well-known and better funded brands continue to put emphasis on both acquisition and retention, as well as on increasing LTV, competitive smaller brands are going to struggle to achieve the level of visibility they need to stimulate acquisition. The entire marketing game is being distilled into a few core pieces: better targeting, better messaging, attempts at being disruptive, and more efficient spending. Unfortunately, I do not see these being highly effective or being highly sustainable financially.I see brands becoming more and more aware of the need to convince consumers that their brand, and ONLY their brand can fulfill be needs, desires and address the consumers’ pain points, and that other brands just can’t do this as well. Marketers, and specifically consultants and agencies will in large continue to ‘fix’ client marketing programs that are not generating the ROI they should. As marketers come up with new clever ways to message, ad platforms are becoming more restrictive requiring marketers to try even harder to be disruptive, but the ‘better mousetrap’ approach is almost always a ticket to failure. I believe 2019 will see a major awakening of the need for brands and marketers to start to grasp more sophisticated ways of acquiring and maintaining customer share. This will include using channels you have not used or maximized before, a different approach to social media, a return to true omni-channel thinking, a much stronger emphasis on content and messaging, and embracing that branding is not the answer. Beautiful logos, taglines, pretty websites, etc., are only stage 2 elements to support a core positioning, which in essence is actually NOT about your brand, but about how the competition fails to deliver the solution the market really needs. 2. I’ve been saying this for a long time, but Google is not a search engine. It’s an ad sales platform. The organic search feature is simply real estate to place more paid ads on. The SERP is shrinking, and top 10 positions are no longer good enough. When you start to think about it this way, you see a different path to SEO optimization. SEO is today more about competitive advantage than about some set of signal factors. I think this will be a big focus for the next year or two, but I don’t believe this will be long-term sustainable. For ecom brands search must emphasis non-branded terms and true buying-intent keywords more than ever before. For local businesses map pack and GMB are going to become more important. Mobile first indexing and voice search will dramatically change the nature of targeting keywords. I have no doubt that algorithm updates will reward those who do a good job of this, and ‘punish’ those who don’t. Advances in AI will be rapid and game-changing. On-site technicals will become more important than ever. Content will increase in importance. With few exceptions for those who are truly expert at this, PBNs are going to get hurt, and more legitimate tiered backlink structures will likely be rewarded, at least in the next year or two. SEO that incorporates both buying-intent and solid positioning of sub-categories and category classes will be rewarded significantly. CTR will continue to lead the list of ranking signals, and SEO will become very intertwined with CRO; I think the pairing is inevitable and one without the other will be less effective. Analytics will become more important. The basics will remain critically important, but they will become the cost of playing, not something that will be rewarded in SERP. SEO will become more important than ever, but not the way it’s been done over the past few years. 3. I will be focusing a lot more on creation of strong brand positioning, and incorporating that into not only SEO but into content, ads, and messaging at all touch points. I will be taking a much stronger stance on competitive advantage strategies and tactics for acquisition. I will be moving more into video as a value tool and a teaching tool. I will be looking at deeper levels of partnerships with marketers who have expertise I don’t, and will be working on a new approaches for one-to-many acquisition, and less on one-to-one acquisition tactics. I will double up my SEO efforts, but with an entirely different emphasis based on buying intent and de-positioning. I will be much more focused on content than ever before. I will be focused more on group dynamics. And I will be increasing the level of mentoring and teaching of others. 1. In 2018, I saw a lot of movement towards integrated channels. Your SEO, PPC, and social media should have conscious intersections. Every year there is always a new platform that catches fire, even if just for a little bit. The successful digital marketers will be the ones that become agile enough to incorporate new platforms into their integrated channel systems. 2. I predict that a lot of people are going to talk about AI and machine learning in SEO. You are going to have a lot of blog posts, courses, and trainings come out on these concepts. They are going to speculate about what Google is doing with AI and machine learning and how you need to change your SEO. All that is going to accomplish is SEOs overthinking things. Focus on the stuff that works. Solid, data-based on page and situationally appropriate link building will get you farther than anyone focusing on how Google is using AI or machine learning. 3. I’m not going to change too much. My focus has always been to measure and test. By continually measuring the SERPs and testing what appears to move rank, I don’t have any fear of any Google updates or any changes that might happen. 1. Internet users are becoming more savvy. Marketers have to prepare a well rounded approach when it comes to getting their users to convert. Mobile users for one need an entirely different strategy and user experience. Those who don’t develop a more well rounded approach will be left behind by those who do. 2. As AI becomes more rounded, marketers need to really develop strategies that really benefit users. 1. I’m sure that in 2019 we will keep going towards more personalized and useful content. Have you seen Toyota advertisement based on used emoji of Twitter users? I’m sure that somebody has already done this before, but it gave me another push to think about the edges of templates in ads campaigns. I also believe that in 2019 data-driven targeting will be a must-have thing for any marketer and it’s no chance to stay on a boat if you do not use it as much as you can. 2. I think it’s obvious that voice searches and mobile users will grow, so better to start optimizing your content now. I also can make a suggestion that we will see more ads in SERP and organic results pushed lower. 3. First of all, more video content is my prior focus. I do a video and a blog post for it, so people can get any type of content depends on their current mood. By the way, it gives a good performance as now we appear twice in SERP (1st = article, 2nd = video snippet). 1. Digital marketing has matured. In the past, we could impact results by simply adding a new digital element to our campaigns. Today, digital is mainstream, and consumers aren’t impressed by fancy new tactics. In 2019, to see good results, it’s going to take more attention to the details, smarter strategies, and a return to the basics of good marketing. 2. The search industry has been content-driven for years, but we’re seeing more competition and less engagement with content than ever. This isn’t just a small-brand problem. It’s affecting everyone. Which means we’ll all be searching for new ways to get attention and engagement in 2019. 3. Content marketing is still a key part of my strategy, but I’m shifting my focus. I’ll be doing less of a “magazine” approach to my blog and more of an “authority” approach. That will likely result in less blogging and an irregular publishing schedule. I’ll also streamline my social media and other outreach to be sure my efforts are getting real results. 1. I’ve noticed people are getting into other areas of digital marketing. A lot of SEOs are getting into ppc and a lot of ppc people are getting into SEO. 2. Schema, onpage optimization and mobile searches are taking a front seat in 2019. With Google releasing mobile first indexing, people are slowly starting to pay attention to mobile responsiveness. 3. Videos. For 2019 I’ll be creating a bigger presence. I’m also doing a lot more hands on for on-page SEO. I’ve been getting big into schema. 1. “Marketers don’t use consumers to solve their company’s problem; they use marketing to solve other people’s problems.” This is a quote from Seth Godin’s latest book, This Is Marketing. I feel it perfectly captures how smart digital marketers will act in 2019. 2. Google’s main algorithm (Hummingbird) is starting to look at reputation differently. Before, building backlinks to your website and building your search engine reputation were synonymous. But Google is now also looking at social proof through the user satisfaction and tasks completion of its users’ behaviour in its SERPs. A new kind of search engine reputation is developing. One that has less to do with backlinks and more to do with providing valuable content. Valuable content that addresses the searcher’s underlying intent and provides exactly what they are look for. And when Google says “focus on the user and all else will follow”, perhaps 2019 is the year they finally mean it for SEO. 3. I’ll be doubling down on creating cornerstone content. I’ll re-evaluate who my ideal customer is and what type of content she wants to consume. Some will come in the form of blog posts, some as guides but both with a push more into a combination of video and text. 1. In 2019 business owners will embrace the concept of personal branding and the importance of brand messaging in not only attracting users/followers but converting them into paying customers. Hiding behind a larger entity will no longer serve them, as people are looking to connect with brands that understand them, make them feel special, understand their struggles, and can communicate their offerings in authentic way. 2. It’s difficult to speculate on this because as we all know, things change rapidly or sometimes not at all. Even when there are shifts, it can be hard to pinpoint them. Perhaps I am biased because I work in the SEO content side of things, but based on the increasing interest in content marketing and just quality content that has a voice, I see that as being an important factor in 2019, above link building. I don’t think most SEOs will be able to follow their typical model of writing and optimizing content. We are all going to have to level up. 3. I will be turning more of my attention toward LinkedIn SEO and its potential for lead gen for SEO agencies (and my own agency). I see a lot of potential there. 1. The application of AI (artificial intelligence) and ML (machine learning) will be more prevalent in 2019. We have seen how this integrated in to the usual digital marketing channels such as Facebook and Google Ads. I believe that audience understanding and targeting would get better, allowing for more efficient and impactful digital campaigns. 2. Not sure how drastically it will change n 2019. The core fundamentals and pillars of SEO will remain the same. The different weight on each pillar might change – I suspect the value of link building will continue to get difficult to measure. 3. Integration between SEO and other channels is what I will be focusing on in the new year. Together, building and leverage a website’s “brand equity” is going to be more important than ever. Employing digital PR strategies to increase brand recall of websites. 1. Digital Marketing has been changing year over year for as long as I’ve been in the industry. The difference in the future will be about customizability and specialty. You’ll be able to search for something, no matter how wild or specific, and find it. Marketers have long been able to get away with catering to everyone. That changed in 2018 and the industry will move further and further to specialty services. Those who can create an authentic personal brand will flourish and businesses need to stand for something besides “we get results”. People now want to work with companies that have personality and moral character. 2. Google will continue to take over more industries/tools in 2019 (see flights, time zones, movie showings, simple Q&A queries). They’ll get their hands on a few more and those that have sites in these niches need to pivot and FAST. Google will begin favoring businesses that invest in creating a solid BRAND online, whether you’re a plumber or a rocket scientist. They’ll also start eating into every possible search function and injecting ads. Home service companies beware! “Google certified” may have just been a test, but just wait for them to unveil something even darker for SEO’s. To end on a lighter note, SEO’s that understand how to build links and create a unique online entity for their brand/clients will do better than ever. 3. I will be niching down even more, focusing on a specific target within a specific industry within SEO. Once you know your exact ideal customer, it’s easier to write marketing materials specifically for them. 1. I think a lot of people are still missing a lot of the basic stuff, but going into 2019, people should be looking at the impact of Voice, Mobile First Indexing and even to a certain point get up to speed with technical SEO in general. I audit a lot of sites on a regular basis and still see sites with the same old basic mistakes. So I think people are now becoming aware on getting audits and technical fixes, so i would advise people to up their game on that side going into 2019. 2. Search is always changing, 2018 brought a lot of change and there is no doubt with AI coming into play things will continue to progress into 2019, the thing with search is that there are always changes and shifts, you just need to learn to continue to develop and keep up to speed with what works and what doesn’t and implement these changes into your own strategy. 3. I need to spend more time on business strategy, usually I am always deep in the trenches with SEO, but i need to utilise my team more so i can come up with ideas and run the business side a little bit better. But I also want to get more marketing automation in place too, so working smarter rather than running about like a headless chicken would be my goal for 2019. 1. 2019 will prove marketers will need to refine how they reach their target audience. Local SEO will change- Google My Business posts have changed a lot in 2018 and this will continue into 2019. Also, marketers will need to find new channels to amplify their brand as blogging continues to be a saturated channel with declining results for many companies. 2. While Voice search will have a big impact in 2019, especially for eCommerce stores. The customer journey is changing as technology improves, and I think companies selling products or services need to look for ways to generate qualified traffic through voice search or optimize their Amazon pages. 3. I will continue to do the tactics that are proving valuable while putting more time and resources into research upcoming trends to keep a competitive advantage. One thing I plan to focus on more is technical improvements of my online assets- this is to improve speed and technical aspects like Schema, etc. Big news about fake traffic, fake views and fake likes will make marketers more cynical, less trusting of the platforms. There will be new, big lawsuits brought by advertisers against Facebook and possibly Google. 2. More SERP features for more keyphrases. More featured snippets and lower clickthrough rates for organic listings. In other words, it’s going to get harder to build a river of organic traffic through search. Google isn’t really in the business of sending us free traffic. But that won’t stop hard working experts from winning. Personally, I hope to rank higher for more phrases than last year. But I’m realistic. I expect a lower CTR from each of those rankings. 3. I’ll be updating older content as much as creating new content. After all these years, I have lots of old articles, many of which have been linked to (good authority) but are out of date (weak relevance). So I’m going to recycle those old URLs and write sparkling new articles in those same places. 1. We’ve been in an ongoing transition period as the true depth, meaning, and extent of mobile first and voice search (along with voice assistance) roll out and ripple through. Most of the predicted changes of 2019 are part of those ongoing changes of the past 5 years. In addition, legal issues such as GDPR and Article 13 coming from the EU are also still settling in. 2. Based on the past 20 years, at all different paces. Some will see 2019 as the year they finally realised that voice search was important, while others started shifting for that 4 years ago. More and more agencies are ‘giving up’ on link building as junk links become less effective, and we’ve even gotten to a stage where some SEOs are declaring they don’t need links because they can’t see any differences between the links they traditionally build, and the links Google filter and ignore. 3. The top priorities really haven’t changed since Hummingbird showed the new direction. Brand-building and becoming a stronger entity remains the topmost focus, although that has many specific sub-components. Link-building has perhaps changed the most drastically, but this too has been a change that has been building up incrementally for years. It is simply that it has now built to a level that is game-changing for those who didn’t adapt sooner. Powerful and meaningful high-authority links (where authority has nothing to do with metrics and tools) are more important than ever, while cheap links are effectively useless. Public relations, citations in trusted media, and publicity events are a new focus for many, and a stronger focus for those who were paying attention the last 5 years. 1. Marketing is not getting any easier. In 2019 and beyond agencies and individuals that offer digital marketing will need to become more diverse in their marketing disciplines. 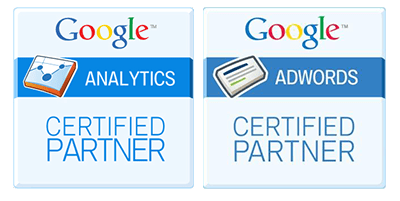 For some this might mean building strategic partnerships with others who can offer supplemental services like SEO, PPC, Social, Video, Design etc. For others this might mean learning a new digital marketing discipline or practice. 2. One thing that we noticed in 2018 that we feel is likely to continue in 2019 is the fracturing of the SEO toolset market. Despite the popularity of all in one toolsets like SEMRush, Ahrefs and others, it seems the constant moving target that is SEO still provides an open market for lesser-known or newer players. This becomes especially true as AI evolves the landscape of search. Google seems to be leveraging A.I more and more every year for search, and the better toolsets (and SEO practitioners) adapt and analyze to these shifts, the better they will be at helping to promote their clients. Another thing that we predict will become even more important in 2019 is branded search signals. Already there has been a lot of talk in the industry about how the future of search is going to leverage mentions more and more, and we are already seeing some signs of this impacting both our agency’s marketing presence as well as our clients’. 3. For the last few years we have offered a more diverse digital marketing offering than a lot of our local competition. While the brunt of what we do is still tried and true SEO, we are starting to leverage a more holistic approach to digital marketing, adding into our packages things like PPC, content curation, on page optimization, design updates and more. Out of all the SEO experts polled, there were a number of technological shifts that seemed to be most pressing on the minds of those in the search industry. Those were A.I. (Artificial Intelligence) and voice search technology followed by GDPR & Schema Markup. It should come as no surprise that A.I. is a major focus for those in the search industry. While Google has been leveraging A.I. in search since it first rolled out Rankbrain in 2015, its utilization of A.I. in search is undoubtedly becoming more and more prominent in how search results get prioritized. A recent comScore statistic predicts that by next year, half of all searches online will be conducted by voice search. Next to the creation of the modern search engine, voice search technology is probably the biggest disruption to how users will query and retrieve information, so it should come as no surprise that this burgeoning technology is something the search industry is paying a lot of attention to. In 2019 optimizing your website for search expands beyond the search engine into the realm of virtual voice assistants like Amazon’s Alexa, Google Home and more. Schema markup is an important tool to leverage for any business that is looking to gain more visibility and conversions from search. Because of this, many in the search industry still have schema on their radar in 2019. While GDPR has not yet been rolled out in the US, its impact has changed the landscape for those in the realm of digital marketing worldwide. In short, GDPR puts more restraints on how businesses use and manage their customers’ data, and noncompliance can have some pretty steep fines. While brand building has been traditionally thought of as more holistic marketing, 2019 might just be the year when brand building and search collide. Many of those polled indicated that they would be reevaluating how they will approach content development in 2019. From diversifying content with multimedia to pruning old content and developing content that is more conversational or query based, content is still very much a focus for the experts we polled. The increasing rise in mobile usage is also front and center for those polled. Statistics from Statista indicate that last year over 52% of global website traffic was conducted on mobile devices, and the steady climb in mobile market share is undoubtedly behind Google’s rollout of the Mobile-First Index (an indexing and ranking hierarchy whereby Google references mobile content before desktop). This is leading those in the search industry to shift their focus to things like page speed and mobile-centric user experience. There was a large consensus amongst the search experts we polled that in 2019, digital marketing needs to be more diverse than it once was. For some, this means expanding their craft into additional disciplines such as Pay Per Click, Social Media, etc. For others, this means a more focused approach to brand building. The technical aspects of search and SEO ebb and flow as algorithms are becoming more advanced. The job of digital marketers is to understand and adapt to this ever changing landscape, bettering our craft and adapting as well as advancing our skills. It’s important to remain fresh year to year and stay up-to-date on the latest advances. Discussing what is to come with those deep in the business gives us an insider perspective and helps us to stay on our feet, ready to survey the latest iteration of search.